What types of problems do we treat? Many people are surprised at the number of different health conditions that can be addressed naturally through chiropractic care at our clinic. We also have the ability to affordably test with N.R.T. (Nutrition Response Testing). we combine all treatable information to formulate a program that fits the patients specific individual needs. To learn more about any of the conditions we treat, please click on one of the links below. If you would like to schedule an appointment, please contact our office today. While many people think of arthritis as a condition that only affects older people, some forms of arthritis affect children still in diapers, while thousands of people are stricken in the prime of their lives. Arthritis actually consists of more than 100 different conditions. These can range from tendonitis or bursitis to crippling conditions like rheumatoid arthritis. There are more 100 joints connecting the body's 206 bones. Between the bones is a joint cavity, which gives the bones room to move. The joint space between two bones is enclosed by a capsule that's flexible, yet strong enough to protect the joint against dislocation. The inner lining of this capsule, the synovium, produces a thick fluid that lubricates and nourishes the joint. In many forms of arthritis, the synovium becomes inflamed and thickened, producing extra fluid which contains inflammatory cells. The inflamed synovium and fluid can damage the cartilage and underlying bone. Chiropractic has long given arthritis pain relief. As arthritis progresses, pain and loss of mobility tend to follow. If you or your loved ones are injured in an automobile accident, regardless of who is at fault, you automatically have coverage to get your injuries treated by a medical professional of your choosing. While some people think their injuries are not that severe after automobile accidents, injury may not become apparent until months or even years after the incident. Chiropractors are trained to identify injuries that may not show any immediate symptoms. Even if you are just sore, you should get checked out immediately because you may experience serious health problems many months down the road. Remember, nothing is more important than your health, especially when you start to lose it. 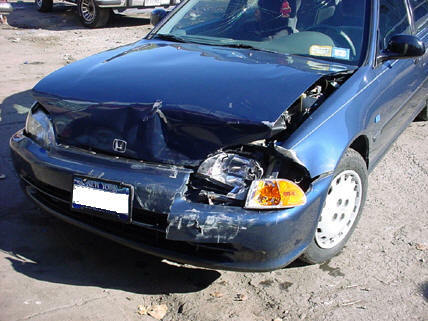 You need a doctor who specializes in the treatment for whiplash and other auto accident injuries. Usually hospitals and MDs will check vital signs, make sure there are no life-threatening conditions and release the patient with pain relief medication. Pills do not correct the damage to soft tissues and other systems that can lead to future pain. There are special chiropractic treatments for such conditions. If you are still having problems, you should see a chiropractor. Carpal tunnel syndrome occurs when the median nerve, which runs from the forearm into the hand, becomes pressed or squeezed at the wrist. The carpal tunnel - a narrow, rigid passageway of ligament and bones at the base of the hand houses the median nerve and tendons. Sometimes, thickening from irritated tendons or other swelling narrows the tunnel and causes the median nerve to be compressed. The result may be pain, weakness, or numbness in the hand and wrist, radiating up the arm. Although painful sensations may indicate other conditions, carpal tunnel syndrome is the most common and widely known of the entrapment neuropathies in which the body's peripheral nerves are compressed or traumatized. Symptoms usually start gradually, with frequent burning, tingling, or itching numbness in the palm of the hand and the fingers, especially the thumb and the index and middle fingers. Some carpal tunnel sufferers say their fingers feel useless and swollen, even though little or no swelling is apparent. The symptoms often first appear in one or both hands during the night, since many people sleep with flexed wrists. A person with carpal tunnel syndrome may wake up feeling the need to "shake out" the hand or wrist. As symptoms worsen, people might feel tingling during the day. Decreased grip strength may make it difficult to form a fist, grasp small objects, or perform other manual tasks. In chronic and/or untreated cases, the muscles at the base of the thumb may waste away. Some people are unable to tell between hot and cold by touch. Carpal tunnel treatment should be as conservative and as noninvasive as possible. For many people suffering from carpal tunnel, pain relief has been achieved without the use of drugs or surgery. Surgery has mixed outcomes and should be viewed only as a last resort after all conservative methods have failed. Fibromyalgia is a widespread musculoskeletal pain and fatigue disorder for which the cause is still unknown. Fibromyalgia means pain in the muscles, ligaments, and tendons – the soft fibrous tissues in the body. Most patients with Fibromyalgia say that they ache all over. Their muscles may feel like they have been pulled or overworked. Sometimes the muscles twitch and at other times they burn. More women than men are afflicted with Fibromyalgia, and it shows up in people of all ages. Fibromyalgia sufferers often describe their aches and pains as being similar to how they feel when they have an extreme case of the flu. Every muscle in their body hurt and they felt completely exhausted. Chiropractic care has proven to be an excellent fibromyalgia treatment. Fibromyalgia sufferers find that alignments of the spine significantly reduce pain all over their bodies. If you suffer from any of these symptoms, don’t wait any longer. We can help you back to health and decrease your level of pain with as little as just one adjustment. Contact our office today to schedule an appointment. Many people consider headaches to be a pretty minor condition that doesn’t necessarily need the attention of a healthcare professional. Most people are inclined to take some sort of pain killer and call it a day. What they don’t understand is that, while the pain killer may take care of the pain, it does nothing to address the actual cause of the headaches. Headaches can be an indication of other more serious health problems and should not be taken lightly. Chiropractors have been extremely successful in detecting and treating the cause of headache pain for patients. By concentrating on the cause of the headaches, chiropractic treatment is a much more effective and healthy alternative to drug treatments. Chiropractic care has proven to be at least as effective if not more effective as pain killers in the treatment of chronic headaches. Living with headaches can seriously diminish your quality of life and may be an indication of larger health problems. Headaches can be treated very effectively through chiropractic care. If you or someone you know suffers from persistent headaches, please contact our office right away for an appointment. There is almost no person who is immune from having some sort of lower back pain at some point in their life. Most often we see people who can trace their lower back pain to auto or work injuries, poor lifting habits, poor conditioning, poor ergonomics or poor posture. In some cases, a onetime injury to the lower back may not lead to long term damage and can be cleared up with just a few treatments. It is the long term behaviors and unattended injuries that tend to require more attention and possibly longer treatment regimens. Neck pain comes in many different forms. Sometimes it can be minor enough that it is barely noticeable. You think that you might have just “slept wrong” on it. Other times the pain is so bad that it is completely debilitating and you feel you can hardly move. In some cases, mild neck pain will take care of itself. For example, if you are in the habit of holding the phone against your shoulder with your head, when you finish a conversation, you will probably have pain in your neck. Eventually, the pain will go away if you don’t do it continually throughout the day. Persistent neckpain, on the other hand, merits a closer look as it could be an indication of a larger problem. Tissue damage from an old injury, whiplash and even disease can start in the form of persistent low-grade neck pain. Chiropractors are specially trained to understand the anatomy of the neck, how it works, what upsets it and how to get it back to normal in the most expedient and noninvasive way possible. Chiropractic care is the most effective treatment for neck pain available today. Chiropractors get to the cause of the problem and fix it naturally without the use of drugs or surgery. With the vast array of conditions that can lead to neck pain, it is imperative that the exact cause of the problem be identified in order for us to provide the correct treatment for you. We offer all of the most recent technology and treatment techniques in order to get you back to health and living a pain free life. Please contact our office today to schedule an appointment. The importance of chiropractic care for athletes has grown exponentially in recent years. More and more, athletic departments and sports organizations have realized the benefit of chiropractic care for their athletes’ injuries. Chiropractic care is an excellent addition to any sports care treatment program. Using spinal and extremity adjustments, physical therapy, exercise programs and dietary and nutritional counseling; athletes can experience increased performance and reduced risk of injury. Chiropractic care can help to improve range of motion, flexibility, balance, coordination, joint proprioception, body symmetry and agility which are all critical to peak athletic performance. Chiropractic care is not only exceptional in the treatment of acute and chronic injuries but is equally successful in preventing future injuries when regular care is received. Chiropractic care concentrates on the cause of the injury rather than only the symptoms. Pain relief by itself is insufficient with regard to managing sports injuries. Not only do chiropractic treatments help the athlete to recover from injuries much more quickly than other methods of care, they also help to minimize the risk of future injuries. Not only do we treat all types of sports injuries, we can also help you to minimize the risk of getting one. If you or a loved one suffer from any kind of sports related injury, please schedule an appointment today. Subluxations can be caused by a number of different things that you do on a regular basis and may not even be aware that they are harmful to your body. Poor posture or ergonomics, poor diet and drug or alcohol use can all contribute to less than optimal spinal health. Subluxations can also be caused by physical injury including auto, work or sports related injuries. The temporomandibular joints (TMJs) connect your lower jaw to your skull. There are two matching joints, one on each side of your head, located just in front of your ears. The abbreviation "TMJ" literally refers to the joint but is often used to refer to any disorders or symptoms of this region. Such problems include popping sounds in the jaw, inability to fully open the mouth, jaw pain, headaches, earaches, toothaches, and various other types of facial pain. Poor posture can also be an important factor. Holding the head forward while looking at a computer all day strains the muscles of the face and neck. Other factors that might aggravate TMJ symptoms are inability to relax, poor diet, and lack of sleep. All of these stresses can result in contracted muscles and pinched nerves in your jaw, head, and neck; also known as “trigger points.” Trigger points can refer pain to other areas, causing a headache, earache, or toothache. Other possible causes of TMJ-related symptoms include arthritis, fractures, dislocations, and structural problems present since birth. Some symptoms of TMJ Disorder include headache, earache or facial pain. If you or anyone you know suffers from TMJ or any type of facial or neck pain, we can likely relieve your symptoms naturally, without the use of drugs or surgery. Please contact our office today for more information. Chiropractic care continues to be one of the top treatment options for work related injuries. Lower back pain and repetitive stress injuries, including carpal tunnel syndrome, are just two of the more common work related conditions we treat on a regular basis. Many work related injuries can be avoided simply by practicing a few simple rules on the job. Remember the importance of ergonomics. Make sure your chair and workstation are set up in a way that minimizes any unnecessary pressure or demands on your body. Be sure to use the proper form when lifting heavy boxes or other objects. Be sure you are bending your legs and not your back when lifting.